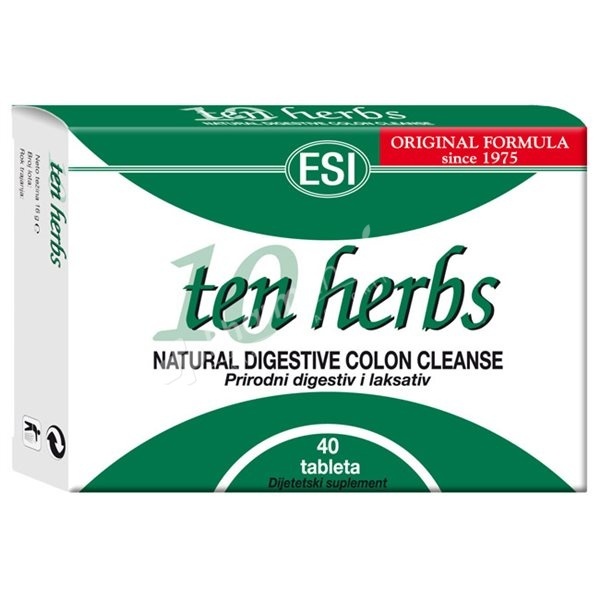 Powdered and pressed herbs improves consistency of bowel movements. especially in cases of constipation, flatulence, bloating and indigestion. Swallow 1 to 3 tablets daily with liquid or herbal tea at night before sleeping. Mixture of powered herbs : California buckthorn (Rhamnus pursiana) bark, Aloe (Aloe ferox) juice, Fennel (Foeniculum vulgare) seeds, Liquorice (Glycyrriza glabra) root, Gentian (Gentian lutea) root, Dandelion (Taraxacum officinalis) root, Buckthorn (Rhamnus alpinus) bark, Rhubarb (Rheum palmatum) root, Horehound (Marrubium vulgare) flowered tops, Chicory (Cichorium intybus) root; maltdextrins, stabilizer : arabic gum; anticaking agents : vegetable magnesium stearate and silicon dioxide; coating agents; hydroxypropylmethylcellulose, cellulose microcrystalline, stearic acid.